We have been getting hit by a snow blizzard and have about 3 feet of snow right now and expecting to get even more throughout the day. The Governor of Massachusetts issued a travel ban today and I have a feeling it will continue until tomorrow.I'm not too upset though and have been enjoying some family time at home. My daughter has actually been helping me record down the stamps that I have ...been creating a log book with all images organized by different themes. This is going to be a long process but I hope that with consistent work, we will get it done this year. Also been working on getting ready to go on a Klondike Derby boy scout event with my son this weekend...wish me luck, we're camping with an expected temperature of 8 degrees farenheit...luckily we are going to stay inside a heated cabin but the events are going to take place outdoors...yikes! I've been getting this printable business size calendar for a couple of years now from the Little Potato Studio. You can get yours HERE. I have also used elements of this stamp on a scrapbook page that I will post very soon. Wishing a safe and warm few days to all of those neighbors in the Northeast. 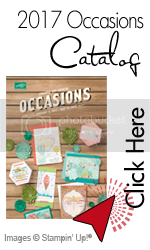 Today is the start of the brand new Occasions Mini catalog from Stampin'Up and it's filled with fabulous goodies to use in your crafts. The top photo shows all my wonderfully created little monthly pages. 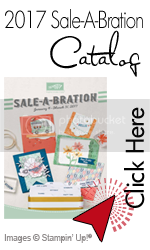 I used some Stampin'Up stamps as well as stamps from other manufacturers. The owls are from an old rub on sheet I had in my studio. 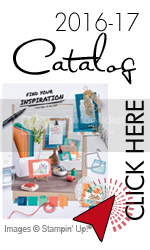 I really plan to spend a lot less on my crafts this year and use up my stash of goodies which is already pretty substantial (this is one of my new year's resolutions) so you will probably see a lot of other manufacturers in my posts from now on alongside Stampin'Up. I do have a wish list for a Silhouette and Photoshop CS5 this year (along with a new !Phone) and I want to be a little more judicious in my spending for other things.